To teach the Word of God with Clarity, Simplicity and Authority to those who are searching for the Truth, in order to bring them to the Ultimate Truth Jesus Christ. To equip and empower the followers of Jesus Christ to grow toward Spiritual Maturity and Leadership. A small seed of a 15 minute Gujarati Radio Broadcast was planted by The Christian and Missionary Alliance in October 1962 under the leadership of Rev & Mrs. Elmer Entz to spread the good news of peace, joy and love. 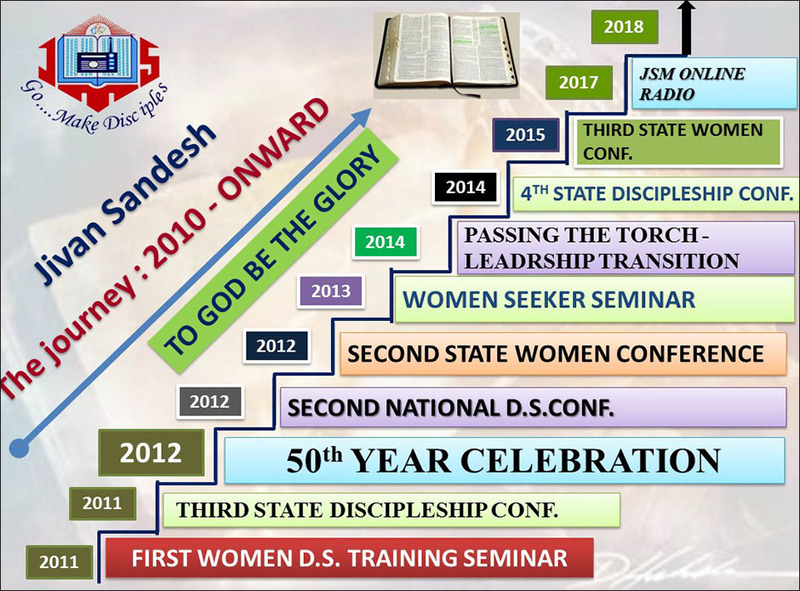 Thus Jivan Sandesh Ministry (JSM) was born in October 1962.It began to grow by the grace of God. 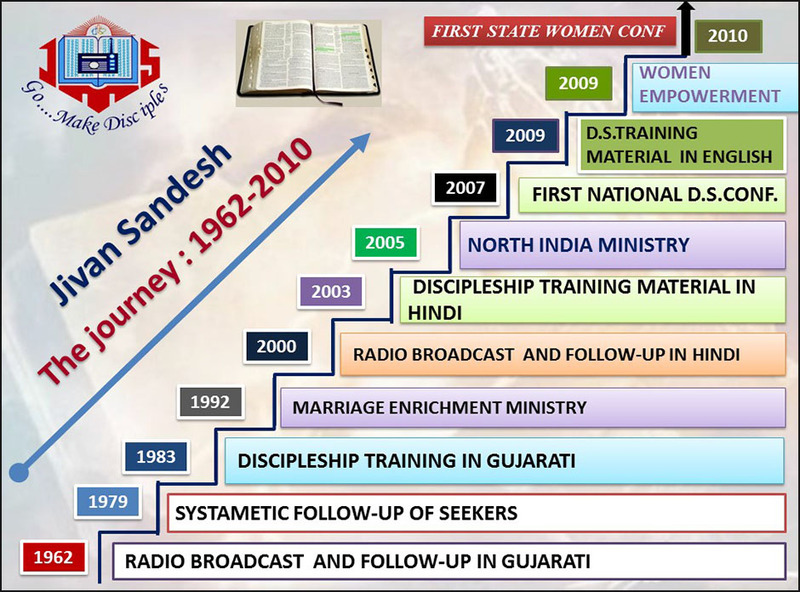 We began our Hindi Radio Broadcast in 2000 along with Gujarati broadcast. At present we are producing three Gujarati and two Hindi radio broadcast of 15 minutes each per week. In1979 a systematic teaching program was developed to help those who wanted to know more about the good news of the gospel. Over the years it was developed in to six different levels follow-up program in Gujarati and Hindi languages.